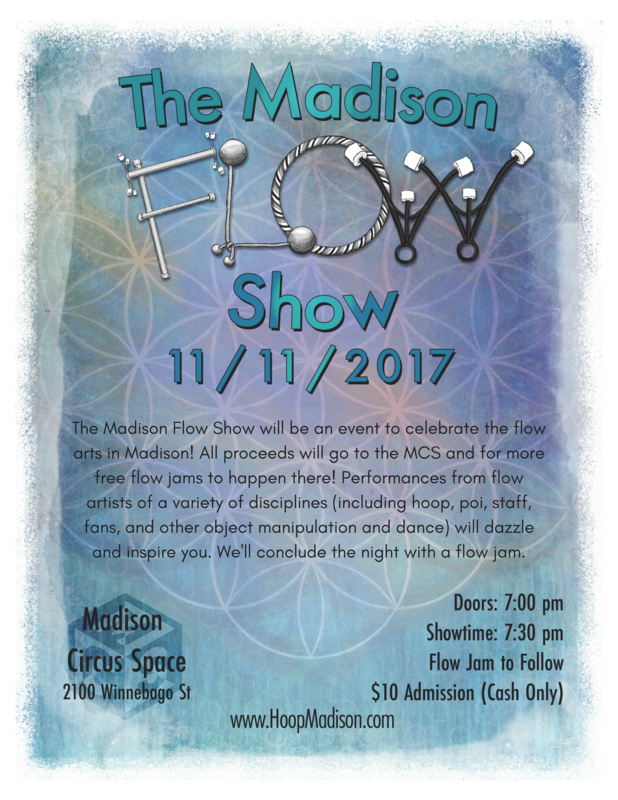 The Madison Flow Show will be an event to celebrate the flow arts in Madison! All proceeds will go to the MCS and for more free flow jams to happen there! Performances from flow artists of a variety of disciplines (including hoop, poi, staff, fans, and other object manipulation and dance) will dazzle and inspire you. We’ll conclude the night with a flow jam. Show produced by Danielle Lee. Thanks to Jennifer Wagner for our beautiful art!